We begin the week here on My Poetic Side with a look at yesterday’s Google Doodle which was dedicated to the poet and playwright Moliere. We also have an article about the poet who received an MBE and the Bangladeshi poet who has been hospitalised. 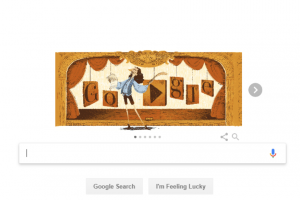 If you noticed that the Google Doodle yesterday was a little different to the norm, then you might also have discovered that it was in fact dedicated to the French poet and playwright Jean-Baptiste Poquelin, who is more commonly known as Molière, his stage name. Molière spent 13 years as an itinerant actor, something which helped him to significantly polish his comic abilities before he began writing some of the works that he is so well known for. He is known for comedies, comedy-ballets, farces and tragicomedies, His plays have been translated into most major languages and are the most performed works at the Comédie-Française. Yesterday marked a poignant date in the poet’s calendar. In 1673 on 10th February, Molière’s final play Le Malade Imaginaire (The Imaginary Invalid) was premiered. The play was a satire on the medical profession. Molière himself played the title role, that of the severe hypochondriac Argan. During the performance, he suffered a coughing fit which resulted in him haemorrhaging. He was still on stage and insisted on remaining there to complete his performance. He was wearing green clothing at the time, and it is said that the superstition that green is bad luck for actors originates from this moment. Back in June, the poet Kate Clanchy was made a Member of the Order of the British Empire in the Queen’s Birthday honours list, for her services to literature. 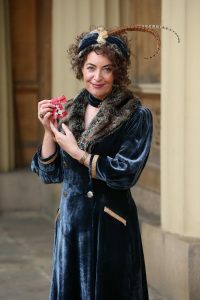 On Thursday 7th February she was presented with her MBE by HRH Prince Charles at a ceremony that took place at Buckingham Palace. Since 2009, Ms Clanchy has been working with both staff and students at Oxford Spires Academy as the writer in residence. During her career, she has already received a number of awards including being presented with the Cholmondeley Award at the Society of Authors’ Authors’ Awards in 2018. Clanchy has also been praised in recent years for her work with refugee children including the 13-year old Syrian Refugee, Amineh Abou Kerech, who on her arrival in the UK was unable to speak English but won the Betjeman Poetry Prize soon after. 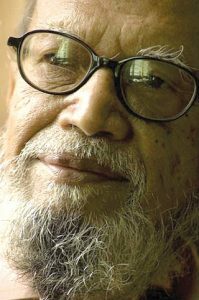 The prominent Bangladeshi poet Mir Abdus Shukur Al Mahmud was admitted to the Ibn Sina Hospital in Dhaka over the weekend. The poet, who is suffering from medical conditions exacerbated by old age, is now being cared for in the intensive care unit (ICU). Al Mahmud, as he is most commonly known, is considered to be one of the greatest Bengali poets of the 20th century. He often uses regional dialects in his poetry.